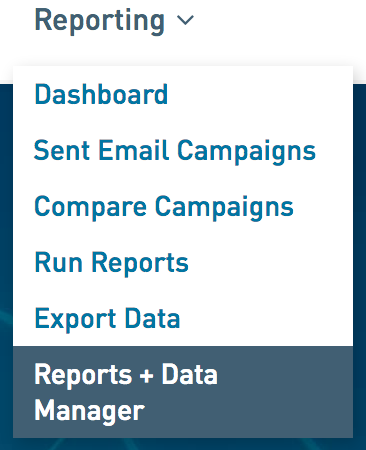 Download your reports and data exports from Reporting > Reports + Data Manager. Go to Reporting > Reports + Data Manager. If you selected Run Report you'll find your PDF under the Reports tab. If you selected Export Data you'll find your file under the Data Exports tab. Under either tab, hover over the file name and select Download. This will save a copy of the file to your computer's designated downloads folder (this will differ based on your machine's download preference). Depending on the download you are retrieving, you'll use a different program to open the file. If you're downloading a PDF you will need Acrobat or a similar application to open the file. If you're downloading an export you'll need Microsoft Excel or similar application to open the file.